Not only do the kids give up their time, they also give up the comforts of home. They sleep on the floors of classrooms in churches and get bussed to a local high school for showers. The program is called Flower City Work Camp and has been in existence since 1985. Fifty-eight churches from all kinds of denominations work together to make Flower City work. “My job was to hang with the kids every evening as they finish dinner. I went to worship with them and heard the area’s top speakers and worship bands lead the services. It’s awesome to see hundreds of kids rocking and clapping for an hour every night when you know they have worked so hard all day, and those speakers touched my heart as much as they did the kids’. The only hard part was getting them to go to sleep the first night by eleven. Yes, I slept on a blow-up mattress in a room with fourteen boys. 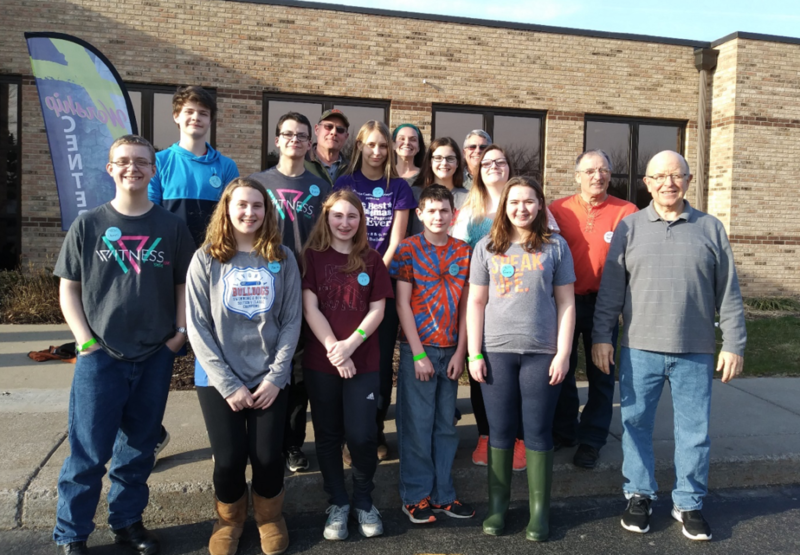 It didn’t smell so great by the end of the week, but it certainly did change them in a positive way,” says “P.D.” or Pastor Dan Finch, one of the youth leaders from Livonia. “Flower City taught me to reach out to people I don’t necessarily understand – even their culture. It has helped me step out of my comfort zone and perceive Jesus’ heart,” said Grace Garrand – a homeschooled senior from Hemlock, NY. Flower City staff report that each team used about $1,000 of building materials in each of the 51 homes that were renewed by the youth this year. They estimate that the improvements add $10,000 to the value of those homes. In addition to working on houses, teams of youth also provide Sidewalk Clubs, basketball camps and soccer camps for neighborhood kids throughout the City of Rochester during spring break. The youth also do prayer walks through various neighborhoods – asking to pray for people on the street, or simply praying for homes and businesses they pass as they walk. The dates of next year’s Flower City Work Camp will be April 14 – 18, 2019.